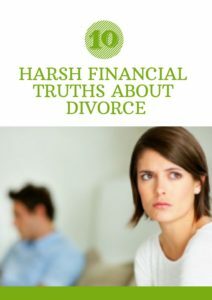 Does Your Divorce Need a Financial Analyst? Event: Who Gets the House? My name is Sara Stanich. I’m a Certified Financial Planner (CFP®) practitioner and Certified Divorce Financial Analyst (CDFA™) based in New York City. 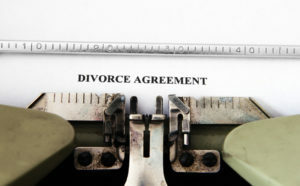 I specialize in helping busy professionals with families understand their options and make informed decisions surrounding the financial aspects of divorce. The information on this site is provided “AS IS” and without warranties of any kind either express or implied. To the fullest extent permissible pursuant to applicable laws, The Stanich Group, LLC (referred to as "TSG") disclaims all warranties, express or implied, including, but not limited to, implied warranties of merchantability, non-infringement and suitability for a particular purpose. TSG does not warrant that the information will be free from error. None of the information provided on this website is intended as investment, tax, accounting or legal advice, as an offer or solicitation of an offer to buy or sell, or as an endorsement of any company, security, fund, or other securities or non-securities offering. The information should not be relied upon for purposes of transacting securities or other investments. Your use of the information is at your sole risk. Under no circumstances shall TSG be liable for any direct, indirect, special or consequential damages that result from the use of, or the inability to use, the materials in this site, even if TSG or a TSG authorized representative has been advised of the possibility of such damages. In no event shall The Stanich Group, LLC have any liability to you for damages, losses and causes of action for accessing this site. Information on this website should not be considered a solicitation to buy, an offer to sell, or a recommendation of any security in any jurisdiction where such offer, solicitation, or recommendation would be unlawful or unauthorized.